PDF is probably the most used file format in the business world today. It’s a convenient format for business purposes because it is a universal file format that looks the same no matter if you are viewing it on a Windows, Mac or Linux operated computer. It’s also a very compact file format, which makes it ideal for sending and receiving information. The compactness of the file format also makes the PDF a popular choice for archiving files. The one big problem PDFs have is that they are not editable. So if you ever receive information as a PDF that you need to use and manipulate further, you are going to have to extract this information from the PDF and convert it into another, more usable file format. While there are many PDF conversion tools on the market available both as downloadable software and online solutions, there are not many that are free. 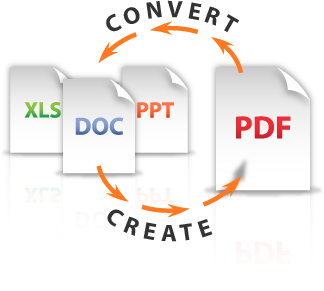 PDFConverter.com is a service that does offer completely free and accurate PDF conversions, however. The convenience of this tool lies in the fact that the entire process is handled online from your browser. There is no need to download or install any conversion software. This also protects you from various viruses and malware that many downloadable free tools often come with. Even though the service is free, the conversions are still top notch. Once converted, the files will mirror the formatting of your original file, which will save you a lot of time. You won’t have to spend time editing your converted files further in order to get them to look right. Every one of the four conversions offered can be done in three easy steps. 1. Select the file you want to convert from your computer. 3. Click “Start” to convert the file. And that’s all there is to it. Once your file is converted, an email will be sent to the address you have inputted. There will be a download link in the email, which you will be able to use to download your newly converted file to your computer. The service guarantees that your email information will never be given or sold to third parties. On top of that, all of your files will be deleted from the server after a period of 24 hours. Just make sure that you download your converted files within that 24-hour window. For anyone who is looking for a free service that lets you convert PDFs into more editable file formats such as Word, Excel and PowerPoint - but also create PDFs from a vast variety of file types - these four free PDFConverter.com tools should do nicely.